Our Bass Casting sinker is used for trolling and bottom fishing. 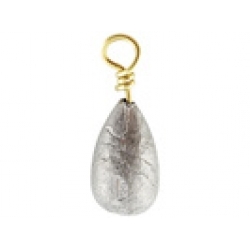 These bass casting sinkers have a swiveling brass eyelet that makes them superb for fishing in strong currents and over rocks. Ideal as an economical drop shot weight.